The Shay steam locomotive was the most well-known and widely used of the geared designs to operate in the country (the others being the Climax and Heisler, which followed in the footsteps of the Shay but were not quite as successful) with nearly 3,000 constructed from 1880 through nearly the mid-20 century. 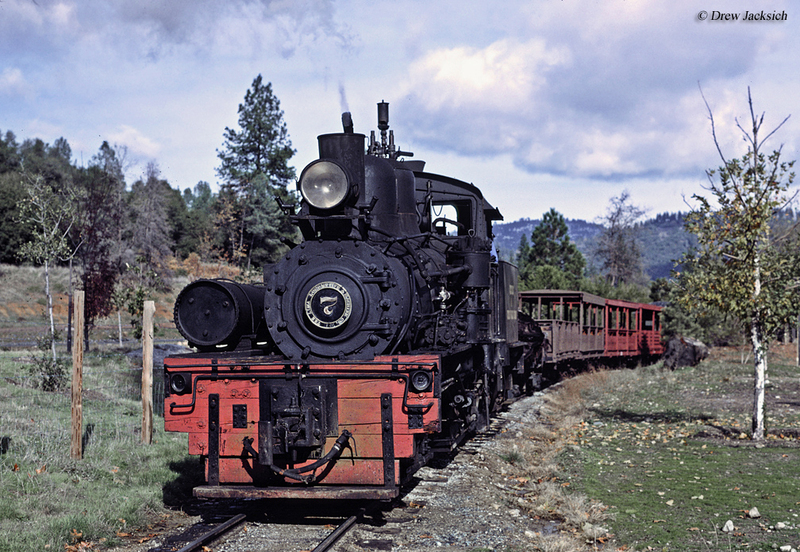 Designed by Ephraim Shay (an inventor, among his many, many job titles he held over the years) the geared locomotive proved to be an invaluable tool in the logging industry through the first half of the 20th century as it could operate on almost any type of track. Part of the design's successful was due to Shay's partnership with the Lima Locomotive Works. In the end, both parties benefited greatly through their partnership with one another. Today, more than 100 Shays have been preserved and several can still even be found in operation on a number of different tourist railroads! The Shay steam locomotive had its beginnings dating back to the late 1870s when Mr. Ephraim Shay realized that he might have a new design that could greatly benefit the timber industry. 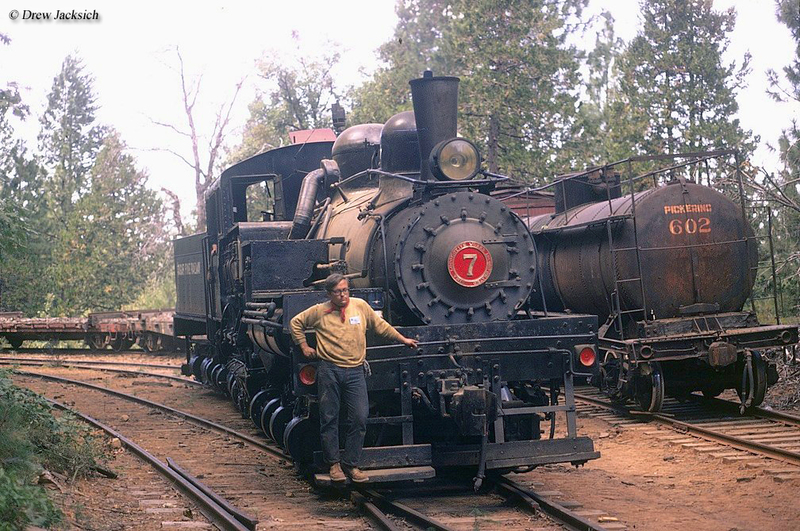 By that time Shay had already worked or held a number of different jobs from logger and school teacher to railroad owner and inventor. As early as 1872 he began development of a new locomotive that used gears rather than standard rods to propel the device forward. He built the design from the ground up using a flatcar as a base. Upon this he placed a boiler, vertical cylinders, and two-axle trucks on each end where one was rigidly mounted and the other (front) could swivel. After much further experimentation Shay finally came up with a setup he found practical (in later designs both trucks were allowed to freely swivel). How geared steam locomotives work, according to William E. Warden in his book West Virginia Logging Railroads, is that these cylinders drive a flexible line shaft with universal couplings and slip joints through bevel gears. Essentially what this means is that the vertical cylinders drive a horizontal crank shaft attached to drive shafts extending to each truck axle. These axles have gearboxes attached to them which propels the engine forward. And, because geared steam locomotives have all of their trucks powered, they provided excellent adhesion enabling them to climb grades well over 5% (something all but unthinkable on main line railroads), although this high adhesion factor limited its speed to under 20 mph. 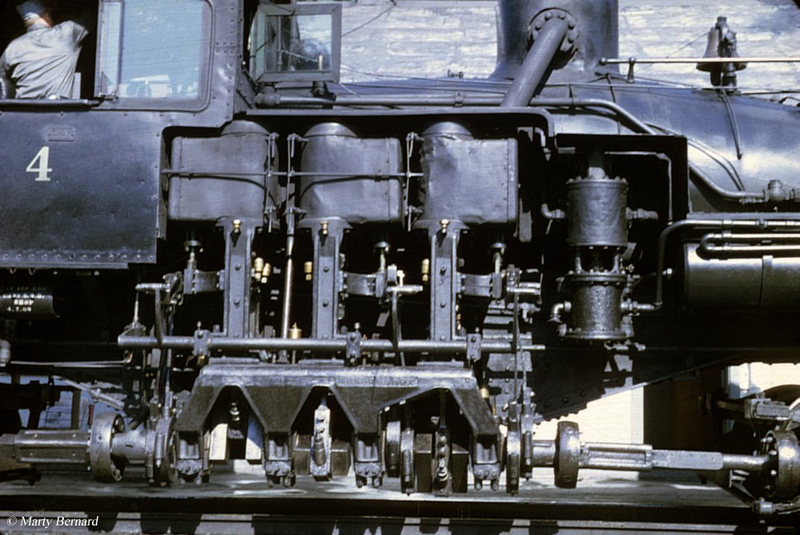 Because the cylinders were designed to be situated directly ahead of the cab it forced the boiler to be offset to the left. However, as it turns out this worked out well since it provided for a counterbalancing of the locomotive. Additionally, the flexibility of the design allowed each truck to negotiate the track independently of the other, thus keeping the locomotive on the rails and allowing it to operate over almost any type of track (which was usually nothing more than rails laid directly onto a hillside for most logging operations). For instance, because the locomotive was nimble enough to operate on most track layouts, however poorly they may have been laid, geared steamers even had the ability to ford streams and creeks! The reason for doing this was that logging companies were after making money as quickly and as cheaply as possible. Thus, once a tract of land had been logged, they simply picked up the rails and moved on elsewhere, laying down a new line in the same fashion. Once satisfied with his initial design all Shay needed was a means of marketing his design to an interested manufacturer. He approached the small Lima Locomotive Works of Lima, Ohio in the late 1870s. At first the builder had no interest in the design but eventually was persuaded to build a prototype, which was sold in 1880 to the lumber firm of J. Alley Company in Michigan. With the success of this prototype Shay applied for and received a patent on his design in 1881. As others saw the advantages the locomotive provided sales were off. Over the years both Shay and Lima improved upon the initial design making the locomotive heavier and more powerful with better tractive effort and adhesion. For instance in 1884 the first three-cylinder Shay was built and a year later Lima introduced the first three-truck locomotive. Then, in 1901 Shay received a patent for an improved geared truck. The development of the Shay over the years is quite amazing; the original two-truck Class A was offered at just 13 tons. However, by 1903 the first Class D version with four-trucks at 140 tons was unveiled (at the time the heaviest locomotive ever built, it was eventually offered up to 150 tons). While the Shay came in a variety of shapes and sizes after the 1920s most were equipped with three trucks (one forward truck, another to support the cab and firebox, and finally an aft truck to support the tender). The very short table below lists the four different classes of Shays including their number of trucks and cylinders. 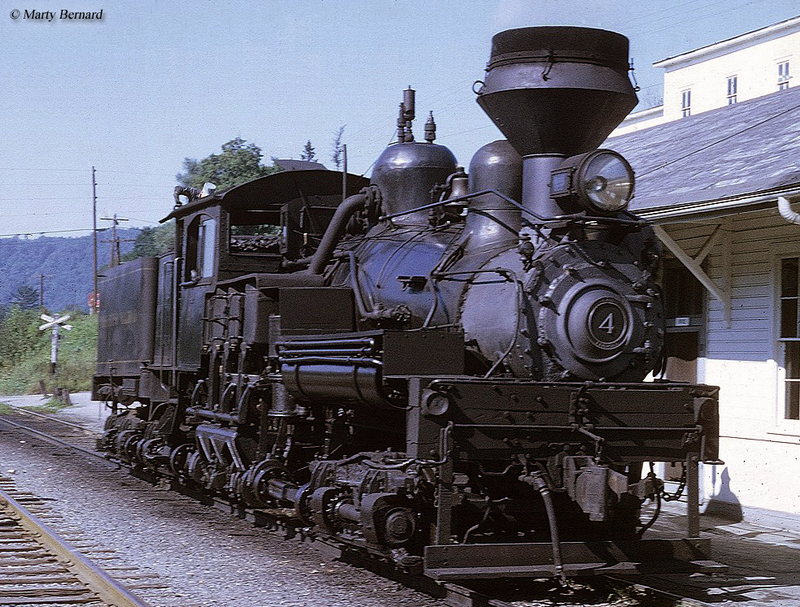 More than any other geared design the Shay steam locomotive proved to be most successful with main line railroads as several found use for it along steep and circuitous branch lines such as the Western Maryland, Northern Pacific, and New York Central. By the time production had ended on the Shay some 2,671 examples had been built by Lima spanning a period from 1880 to 1945. Its success launched Lima as a major builder of steam locomotives and after the initial patent had expired a number of companies began marketing their own versions; notably the Willamette Iron & Steel Works of Portland, Oregon and Michigan Iron Works of Cadillac, Michigan. Today, over 100 Shay locomotives have been preserved across the country and a number of them are still in operation. 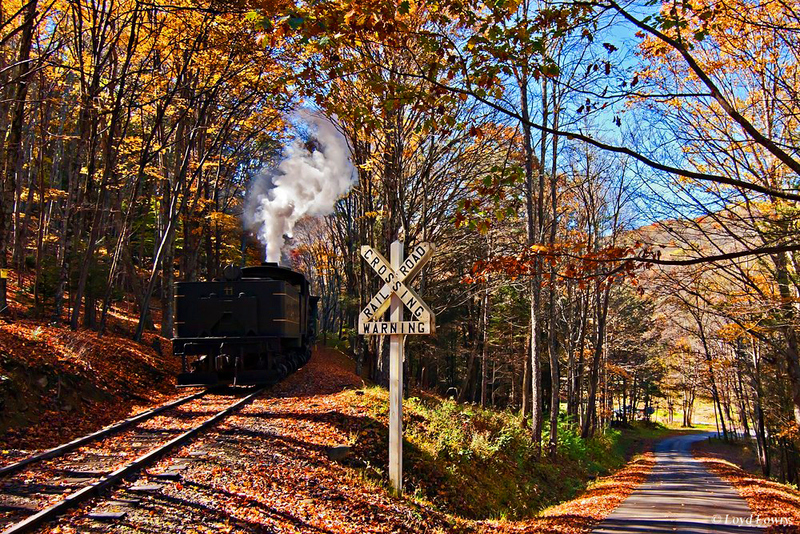 Perhaps the best place to catch these locomotives in action is to visit the Cass Scenic Railroad in Cass, West Virginia (which operates both the oldest still in service and largest ever built). Cass Scenic (which was originally the timber operations of the West Virginia Pulp & Paper Company and Mower Lumber Company) is home to the largest collection of operating Shays in the country and is well worth the trip to ride this historic operation if you have the chance. Other Shays still in service include a handful in California, Colorado, Washington, and the Midwest. Additionally, a few others are under restoration. Finally, a list of surviving Shays can be found here.